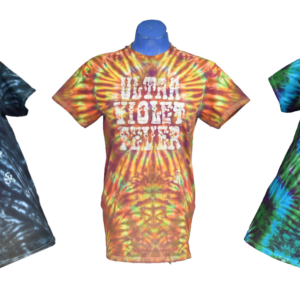 Suds up and jam out with our all-natural, hand-made, artisan cosmic hippy soap complete with digital download of Ultra Violet Fever’s self-titled debut album “Ultra Violet Fever”. Our soap is hand-crafted by the magick touch of Kristen Wren of Wren’s Soaphouse in Sioux City, IA. Lather yourself in the sweet smells of Bergamot and Tea Tree while the Horny Goat Weed (one of our all time favorite teas) exfoliates the senses. 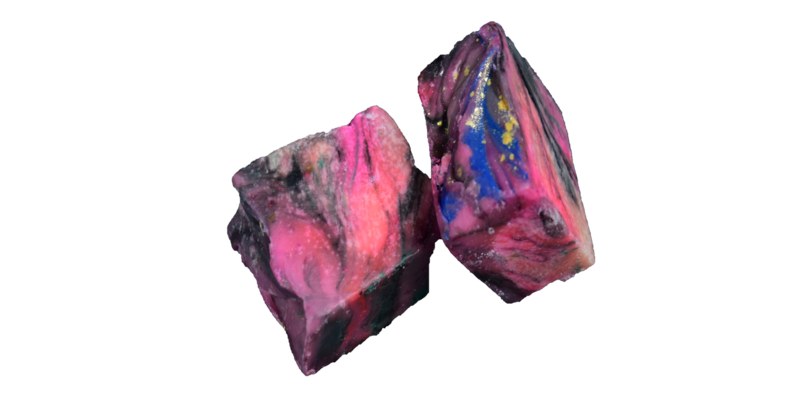 Our Cosmic Hippy soap will leave you feeling soft and refreshed. Not only is this soap pleasing to the skin, it is visually stunning. Each bar is approximately 2oz.